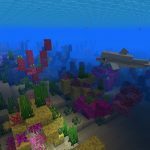 Here’s another Coral Reef Seed for Minecraft 1.13 (Java). Kick this one off with the seed ‘ickart’ (or -1194193358). You’ll spawn on a manageable island but can also rely on the visible neighboring islands for resources, too. Close to home there’s the coral reef. 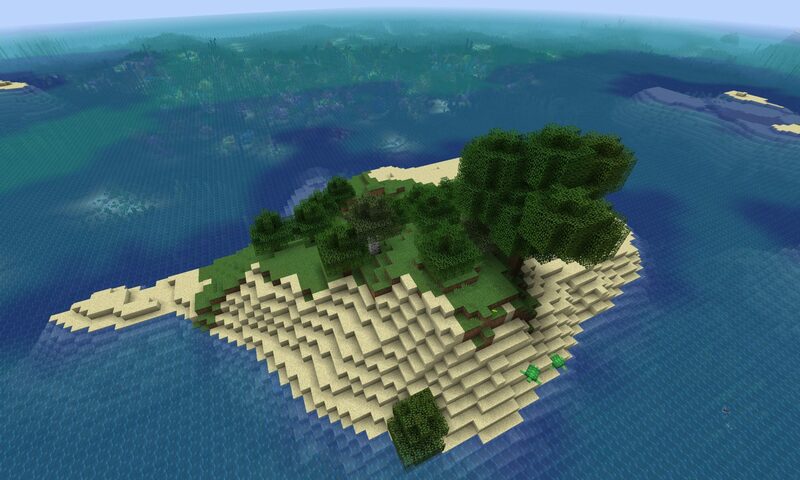 It’s large, extending from the spawn island to a small island (sand bar) on the horizon. In the water there’s plenty of tropical fish and coral. There’s also a smaller outcropping of coral off one of the island’s other beaches. Some tropical fish among the coral. 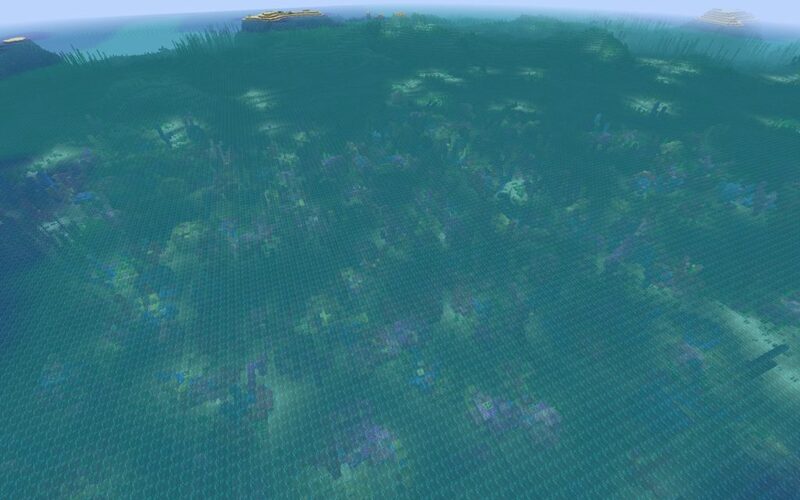 The large coral reef extends to a distant neighbor island. I really like the seed and think there should be more like it. 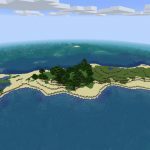 Great seed for 1.13 with lots and lots of sunken cities and ships to loot for treasure maps. (I made around 250 iron, 100 gold, 150 emeralds, a dozen diamonds while only looting treasure chest for 2-3 hours). 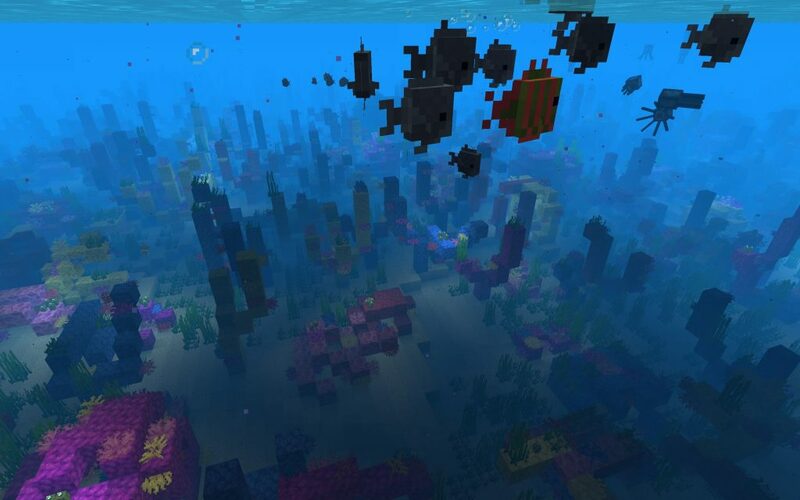 The coral reef is huge and extend in different directions. The spawn island is not too small and you have already 2 wood types and turtles. You can get scute pretty fast. 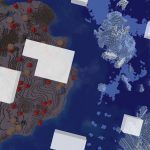 What’s even better with this seed is that if you go south-west for a thousand blocks, you’ll find a perfect mushroom island (medium size) and a Messa island (medium size) right next to it. If you head north you’ll a few flower islands which is great for dye farming.